I’m teaching a Rhetoric class at one of my colleges/universities/places of higher learning, and it’s been a real challenge for me – mostly because I just really don’t want to screw it up. I really, really love what I’m doing there, and I think this class does some really important things. I’ll get to those in a minute, but lemme tangent out a bit for a second. I struggle a lot with the idea that I’m working in the very industry that has gotten me so far into debt that my life will never be my own again. Can you believe I actually had a “real” job, complete with realistic paycheck and health care (yeah, yeah, this was the ‘90s, so shoot me) and had no college debt at all? I’ll say that again – I was utterly, blissfully, completely college debt free all the way into my mid to late 30s. I had no idea what I was doing when I left the law firm and went back to school. And worse yet, there was no real way I could know. It’s not like the internet was the backbone of the world, the kudzu vine of the planet, like it is now. It existed, sure, but it was nowhere near the behemoth it is now. It wasn’t the first thing I did in the morning, and the last at night (yeah, I’m working on breaking that habit, thanks) and it wasn’t the way we checked our bank balance (ATM, or the phone) or the way we got our take out. It was email, it was AOL, it was a lot of stuff, but it sure wasn’t the Google that we know today. So my point is that I couldn’t just walk over to my pc (pick up my phone, now) and type “paycheck of a university teacher” and find out what was what. I fell into that little niche of people who had been brought up believing that college was absolutely mandatory for any good paying job, and that any education you got was a good one. Anyway – I had no idea I would rack up enough debt to choke a country of goats, nor did I have the foresight to purchase a home with an oil well in the back yard. But I continued on at school, semester after semester, engaging in the sunk cost fallacy every time I registered for another expensive bunch of classes, complete with expensive books. Those classes eventually got me some really great paper to hang on my walls, and the opportunity to teach as an adjunct at my local colleges and universities. After I had been adjuncting for a bit, I came to realize that I truly, honestly loved what I was doing, and it was exhilarating in a way I had never fully appreciated. I was making a living (sort of) using the knowledge I had accumulated during my years in Texas. It was awesome. It was also dispiriting, to be honest. I was only allowed to teach three classes at each school, so that I could still be considered part time. This of course then ensures that all the adjuncts like me who are trying to do this for a living wind up teaching at as many schools as possible. So I juggle three or four schools right now, with the community college giving me 3 classes pretty regularly. So my pay is roughly what it was in the 90’s, but now I’ve got that added school debt to consider…school debt that is so incredibly massive that I have no possible way to pay it off during my lifetime. I cannot live long enough to pay this debt off, not at this pay rate, or really, at any reasonable, going pay rate for any teacher. So I, from time to time, fret that I’m encouraging students to take on debt that they shouldn’t. I am embarrassed that I am endorsing a way of life that, really, doesn’t exist for many people any more. I worry that my students will be even more in debt than I am, and in an even worse position for it. I mean, let’s get reasonable here: I’m old. I mean, I’m not like the God of Abraham level old, but I’m not your standard undergrad either. I’m a grandma, for heaven’s sake. It’s not like I have to really worry about ever paying that money back – I’ve already talked about the unlikelihood of that just from an age standpoint. But I also have no retirement. I worry constantly about my health care – which is something everyone is going to eventually need, regardless of what they might think. But I have had the opportunity to buy a house, and to have a child, and to raise that child to adulthood. He won’t have the opportunities that I had at his age, obviously (and not so obviously, because he’s on a whoooole different plane of decision making from where I was at 32). So this is a long about way of saying that when I get the opportunity to teach in a way that can help students do something more than pass a class or two, I jump at it. If I can give them a skill, or plant a seed of a thought in their head that will germinate later, and help them see the world in a slightly more helpful way for their own lives, then I’m going for it. The class I’m teaching that is giving me the most opportunity for this right now is at Queens, and it’s based around the concept of post-truth. 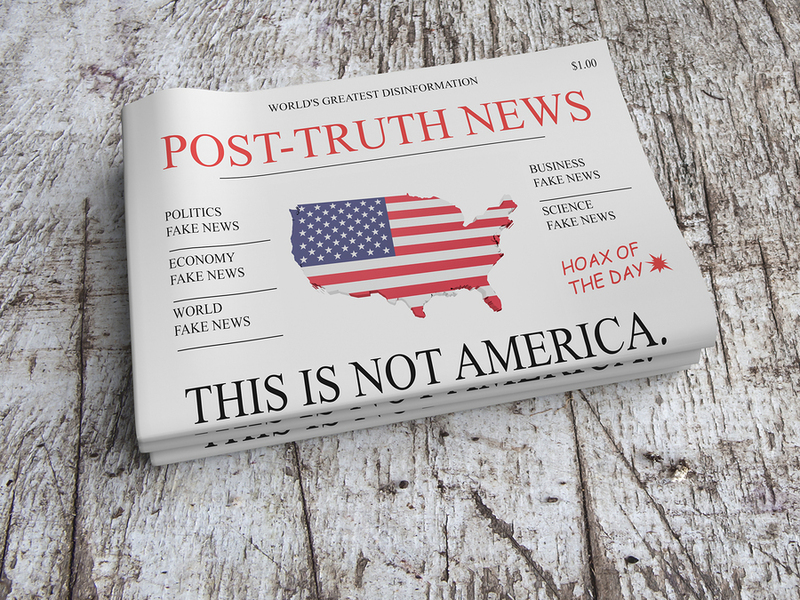 I’m having so much fun – I’m getting to dive back into the more involved concepts from my own rhetoric classes, as well as consider the concept of “post truth” from my students’ point of view, and my own. I’m able to trickle some of the readings from that class, and activities, into my other classes at CPCC. As is always the case, I’m learning as much as they are, I think, but in some very different ways.